Jayadevappa Halappa Patel was the 15th Chief Minister of Karnataka. His term as Chief Minister for Karnataka was riddled with criticism, opposition and problems that hit his leadership like hurricanes. J. H. Patel weathered everything thrown his way with a patience and a smile that is nearly impossible to come by again. His tenure lasted between the 31st of May 1996 and the 7th of October 1999. He was succeeded by S.M. Krishna. J. H. Patel hailed from a small village called Kariganur, a part of Davangere district in Karnataka. A lawyer by education, J. H. Patel as a young man participated with zeal and fervor in the freedom struggle. He was imprisoned for participating in the freedom struggle, but his imprisonment did not affect his ideals. He continued fighting for his beliefs and ideals. J. H. Patel’s political career per se began with his election to the Lok Sabha from the Shimoga Constituency. He etched the pages of history numerous times. The first time he gained recognition and was written about extensively was in 1967, when he used Kannada to converse in and to debate in the Lok Sabha. In the 17 years since the Indian parliament had met, Patel was the first one to speak in a regional language other than Hindi. This led to an acknowledgement of regional languages and the right to speak in mother tongues. He was well loved by the people of Karnataka and India who were mesmerized by his oratory skills. He was elected twice from the Channagiri constituency in 1983 and 1978 to the Karnataka Legislative Assembly. 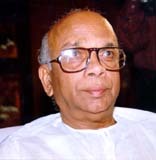 He served as Cabinet minister in Ramakrishna Hegde and S R Bommai’s government. When H. D. Deve Gowda was the Chief Minister, Patel served as the Deputy Chief Minister, a pre-cursor to his own Chief Minister-ship. Patel was the very first Chief Minister in Karnataka holding no association with Congress at any point prior to his election. Besides writing history owing to his lack of association with Congress, J. H. Patel during his term as Chief Minister brought about numerous changes for which he is remembered. The formation of 7 new districts in the State was a decision that was for various reasons delayed time and again. Patel saw through the formation of the new states. Information technology and foreign investment were received with open arms during his tenure modernizing the state far beyond any of his predecessors. The number of irrigation projects that flourished under his decree was significant. About Rs. 4800 crores were invested at various points on irrigation projects such as the Malaprabha, Ghataprabha, Visvesvaraya Canal, Varuna Canal and the Almatti dam. The investment on the irrigation projects brought much-needed relief and hope to farmers across Karnataka. The criticism and opposition that he endured during his term is owed to the split in Janata Party. Despite numerous setbacks, J. H. Patel and his oratory skills won people over. He had patience and a ready smile irrespective of the situation and people he had to confront. The turbulence and setbacks during his tenure made his tenacity shine through for which he is remembered.